Pastor instruct church members to touch live electricity wire to demonstrate the power of God that even electricity cannot kill them. 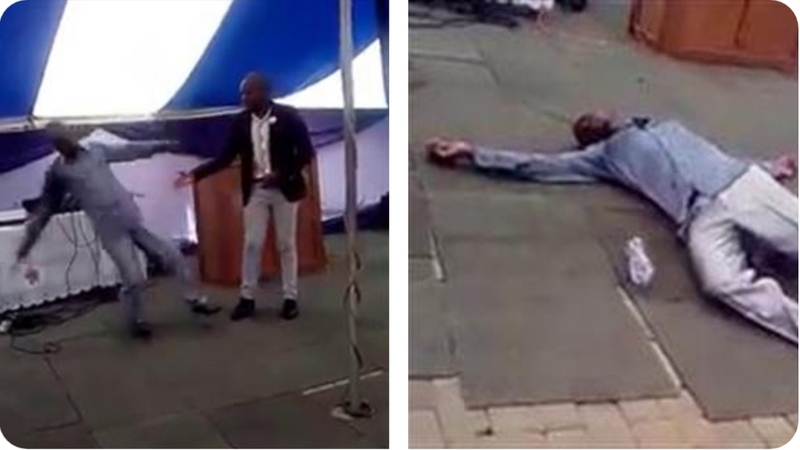 According to reports, a pastor from pretoria released a video showing him telling a church member to be shocked by a live electric wire as a supposed act of faith. He reportedly claims that if they have enough faith, they will escape electrocution. "I can command people to touch live wires and they will not get electrocuted. Anointing is more powerful than live wires,” the the reports quoted him as saying."